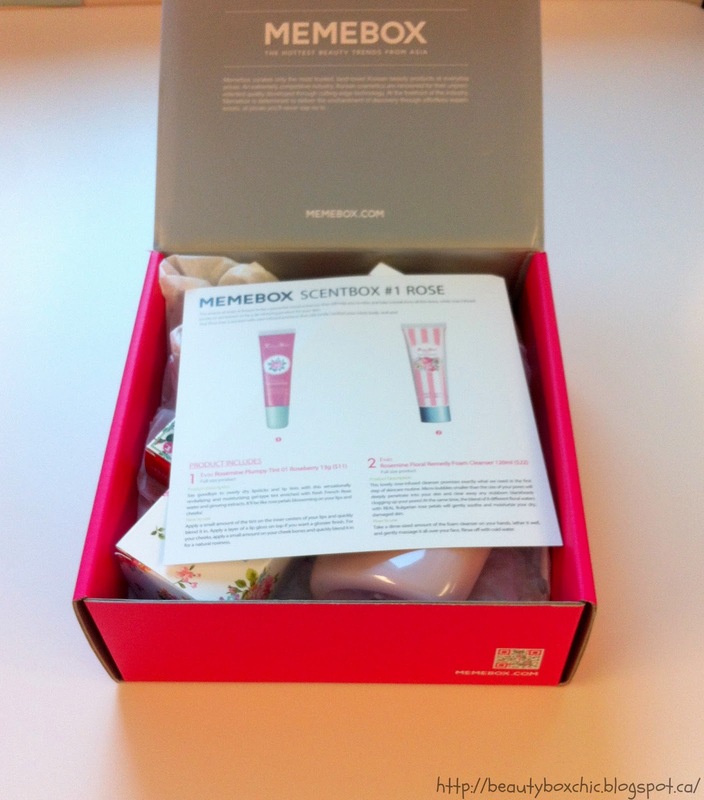 Beauty Box Chic: Memebox Scentbox #1 Rose Edition: Review + COUPONCodes!!! 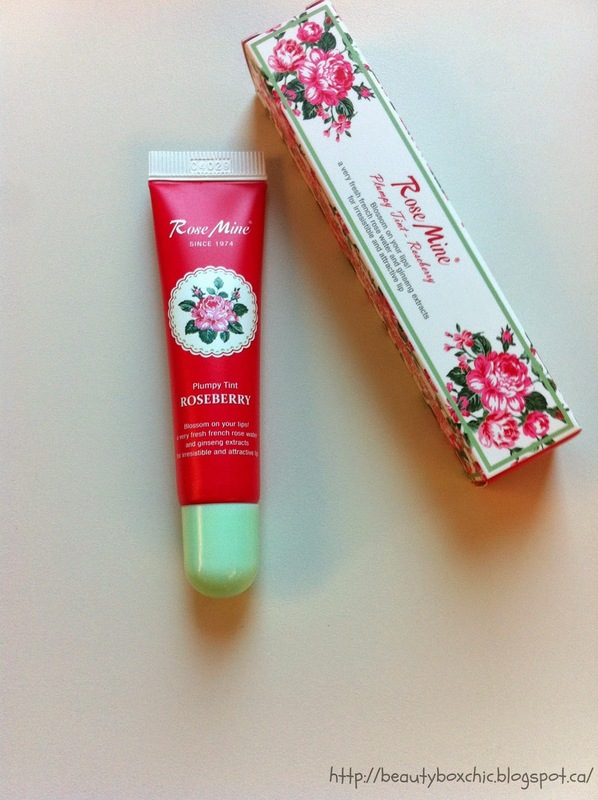 Memebox Scentbox #1 Rose Edition: Review + COUPONCodes!!! Happy Friday!!! Hope everyone have a wonderful upcoming weekend!! 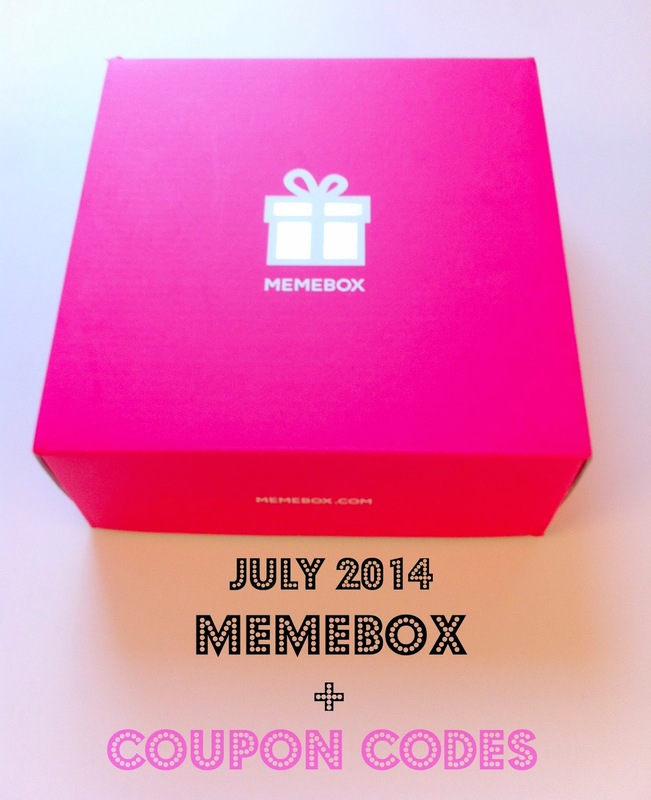 Today, I want to share with you my thought on the Scentbox #1 Rose Edition I have received from Memebox. They have kindly sent me their Korean beauty box for review. Special thanks to Memebox http://us.memebox.com/ for given me the opportunity to try this these wonderful Rose Edition Scentbox!! Memebox is a non-subscription beautybox that delivers 4-8 full sized Korean products/deluxe samples right to your door, they ship directly from Korea! Each month they release varieties of beautyboxes that tailor to your specific needs and concerns! They currently carries 4 different types of beautyboxes, ranging from: Memebox, Memebox Special Editions, Luckybox and Superbox! In additional to beautyboxes, they also carry full-size Korean beauty products in their Memeshop. Please visit their website http://us.memebox.com/ for information! What is the cost for the Memebox? Yes it is!! 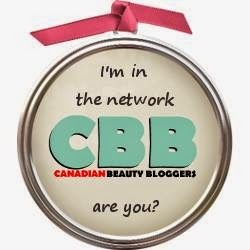 Their beauty products are sourced, packaged and shipped directly shipped from Korea. Memebox ship to many countries, it includes: USA, Canada, Austria, Australia, Belarus, Belgium, Bulgaria, Canada, China, Croatia, Czech Republic, Denmark, Estonia, Finland, France, Germany, Greece, Hong Kong, Hungary, India, Indonesia, Israel, Ireland, Japan, Latvia, Netherlands, New Zealand, Norway, Philippines, Poland, Qatar, Romania, Russia, Singapore, Slovenia, Spain, Sweden, Switzerland, Taiwan, Thailand, Turkey, Ukraine, United kingdom). YWDH81 - $5 dollars off on any order!! Valid until July 31,2014. This is an exclusive Code for all my readers!! $10 reward points - Create an account with Memebox an automatically earn $10 dollars credit toward your next purchase!! 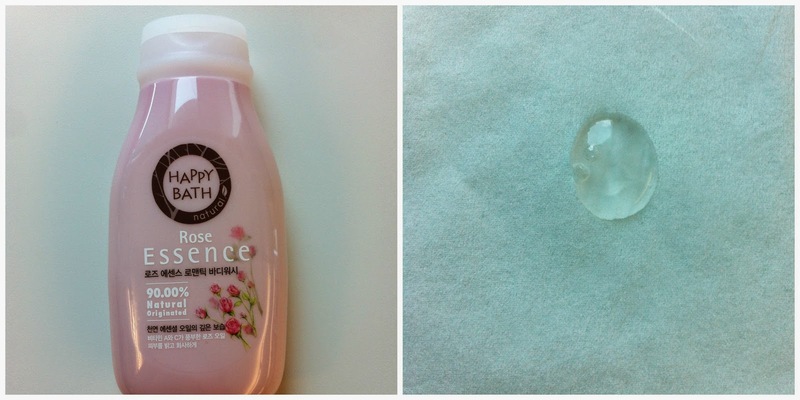 This is a rose-infused cleanser!! It is made with "micro-bubbles smaller than the szie of your pores to deeply penetrate into your skin and helps unclog your pores, it blend with eight floral waters and with Bulgarian rose petals great for dry-damaged skin"
This is a lovely color!! It is made with "French Rose water and ginseng extracts"! 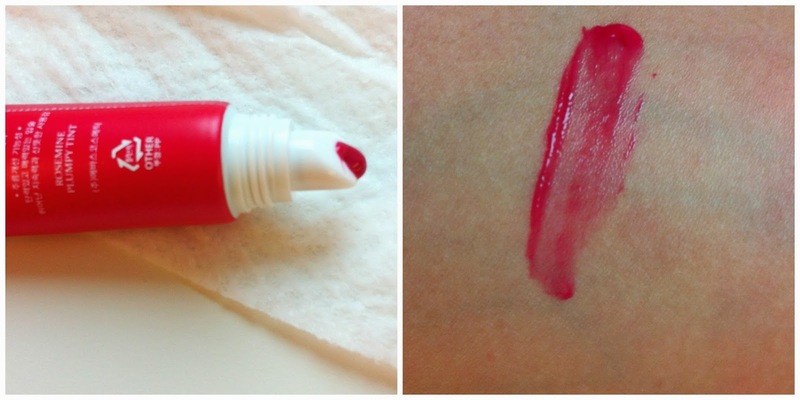 Great to be used on the lips and add little colors to your cheeks if you desired! 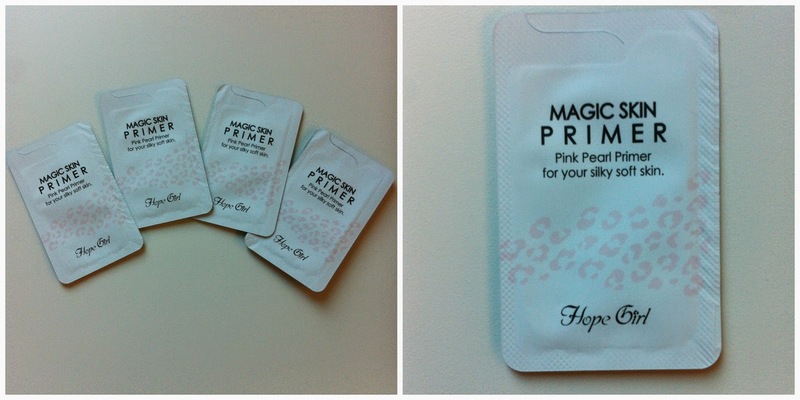 I love try new primers as I havent find the preimer I really like yet. 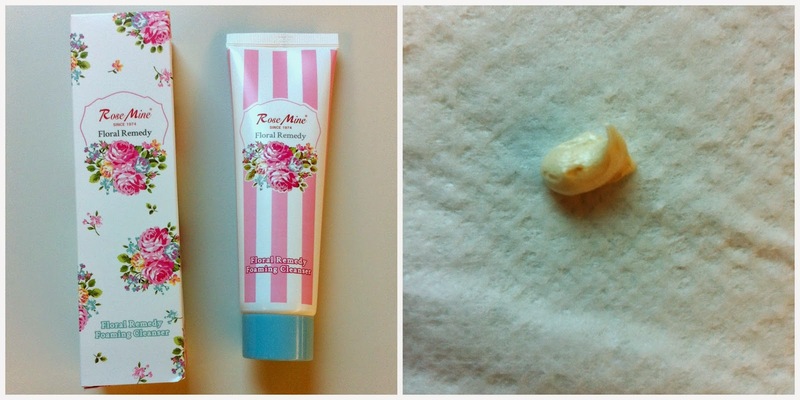 This is a rose-scented primer to be use before applying makeup! Great to covers up fine-lines and uneven skin tone! I haven't try this yet, will give this a try later in the month! Total Value for this Memebox? Yes most definitely!! Love the idea of the scentbox, every items I got in this box is infused with Rose Scent!! Would you give Memebox a try? The tint looks so nice!! Hi sissy :) how are you? Thanks again for the products that you sent me. I'm gonna blog it this week. Hehe. Anyway, this box is one of my favorite. The packaging is really nice and cuuuute. Hehe. I'm looking forward to you reviews about them. Have a great day! Hey!! (Sorry if this ends up being a double post - I don't know if the first one published D:) I really like your review!! The box is so cute and adorable <3 I've never tried them before, but I definitely am looking forward to trying them out now!! Looking forward to your next review!! Do you happen to have one on Vain Pursuits? I'd love to hear what you have to say! Hi Kimberly, How are you? :) Sorry for the late reply, last week I have been so busy due to helping out at few of my good friends wedding, I am happy you really like this review :) Hope we can keep in touch ^^ I agree!! Memebox have such a cute packaging and all their products directly shipping from Korea, memebox is a great way to try Korean products and see what you like/dislike, is a wonderful way to try new products!!! I am not sure if they have one on vain pursuits, but I will email them for you if you like, their customer service is very friendly and will respond to email really fast, would you like me to inquire this for you :) Hope to talk to you soon, have a good weekend.